This week's tablehopper: when in Rome. 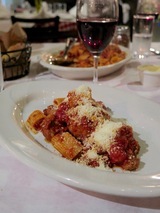 The massive serving of rigatoni in Frankie’s famous ragù at F & J Pine in the Bronx (you even get your own meatball). Photo: © tablehopper.com. Ciao ragazzi! I’m down to my last few days in New York, and am leaving on Saturday for Rome, and then Abruzzo, and then Sicily: heading to Palermo, Scopello, Agrigento, and Vittoria (can’t wait to finally visit COS and Occhipinti!). If you have any tips on places to eat or visit in these Sicilian towns and areas, feel free to send ‘em along since we’ll be driving all over—and thanks to all of you who already sent me ideas! So appreciated. It’s going to be so hot in Rome, mamma mia. I fly back to SF in time for Outside Lands, and tablehopper won’t be back in your inbox until August 9th! I know, that’s a long time. But vacation is going to be so sweet. Ahhhhhh. I just wrapped up a phenomenal week in New York with my sis, who came to visit. Nothing like having a guest in from out of town to go do all the things you’ve been wanting to do, and who loves to eat! We escaped the heat wave and spent a glorious day in Cherry Grove, we took a tour at the Tenement Museum and a (free!) Greenwich Village tour with the Village Alliance (highly recommend it! ), we ate a ton of dim sum (RedFarm, Nom Wah, and The Bao), pizza (Di Fara, Bleecker Street), nova and bagels (at Russ & Daughters Cafe), martinis at the Russian Tea Room, coffee cocktails at Kobrick Coffee Co., a stellar (har) dinner at Estela (one of my top meals here), tried a cronut, danced at Mister Sundays, shopped, toured the Met (HAD to see the Psycho house), visited a relative’s restaurant in the Bronx (F & J Pine), and the finale, enjoyed eggs Benedict at its birthplace, the Waldorf Astoria, before it closes for changes and a renovation in 2017. WHOOSH. Fortunately we walked more than 10K steps a day, more like 13K, so we didn’t become complete blimps. I still have a few more days of running around here, trying to see and do as much as I can before I fly out—like have a drink at the Four Seasons before it closes Saturday. What an amazing six months, thanks New York! Karl the Fog, I’ll be home soon. See y’all in August, ciao for now! Due to open in August is ~NOMICA~, the restaurant we mentioned was coming to the former Pesce in the Castro from the Sushi Ran team. A few more details have emerged, starting with who the chef is: Hiroo Nagahara, a Tokyo native who has lived in the U.S. He worked for Charlie Trotter and was also the culinary talent behind The Chairman food truck concept. During the past year, he has been traveling and working in Japan at Kagurazaka Ishikawa (three months) and Narisawa (two months)—he wanted to get back to his roots and go deeper into his heritage by cooking in Japan. He will be working with the Sushi Ran team: Yoshi Tome, Paul Quinn, and Mynor Morales. The concept is different from Sushi Ran—Nomica will be a modern Japanese restaurant featuring a fresh take on Japanese cuisine and ingredients (don’t expect sushi here). While the food will be technique-driven, it will still be comfortable—rustic but focused. Some dishes will be inspired by chef Hiroo’s memories of his youth in Japan and dishes prepared by his mother. A few sample dishes include a sashimi salad that will have five kinds of fish in it (which will change daily), with the fish dressed in different ways, from salts to oils, and seasonal vegetables playing a part as well, like romano beans and marinated radishes. Chef Hiroo also mentions a kara age cube, a spin on a dish he remembers having as a young boy, but served with accompaniments like shiso, a glaze, and relish. There will also be gyoza farce-stuffed chicken wings—that are brined in koji—and the gyoza filling is his mother’s recipe, and a Hitachino beer and Parmesan waffle will come with matcha butter and truffle maple syrup. Nope, no shortage of creativity here. While talking to Hiroo, you learn so many intricacies to these dishes. There will be a lot more than meets the eye, but the taste is what matters most to him. There will be small plates, both hot and cold and designed to share, and larger plates will be available as half portions, like crispy sea bass (loup de mer) with raw big-fin squid, and a ragout of red quinoa and black togarashi. Donabe rice will be served tableside—an homage to his time at Kagurazaka Ishikawa—and served with Dungeness crab, marinated salmon roe, crab roe, and mitsuba. Look for many housemade items, such as Hokkaido koji, umeboshi iwashi “anchovy,” and organic matcha butter, and there will also be bread made in-house (just wait for his pastry chef Adam Cruz’s 27-layer laminated brioche). There will be a full bar specializing in awamori, a spirit from Yoshi’s native Okinawa, and a bar menu, plus lots of sakes and wines. The team is highly focused on offering finely tuned service, even though the atmosphere will be casual. There will be room for 80 in the dining room, with some communal seating and 20 at the bar, and a private dining room is available for 8-12 as well. CSS Architecture/Cass Calder Smith is behind the design. There is a lot of on-site carpentry, utilizing black walnut, with 30-foot cypress beams and cedar. As for the name, it has a double meaning: it represents the crossroads where it’s located—Noe Valley (no), the Mission (mi), and the Castro (ca)—but it also means “drinking house” in Japanese. It will be open for dinner nightly 5pm-11pm. We’ll keep you posted on more details as the opening gets closer. 2223 Market St. at Sanchez, 415-655-3280. The front bar area. Photo: Nick Vasilopoulos. The dining room. Photo: Nick Vasilopoulos. One of San Francisco’s more charming restaurants is reopening this Thursday July 14th. ~MASON PACIFIC~ had a kitchen fire in March and is now back on the scene. Another new fixture in the kitchen is chef Max Mackinnon, who is launching a brand-new menu. The Cali native was previously the chef-owner of Pistou in Burlington, Vermont, and has cooked at Restaurant Relae in Copenhagen, Fish & Game in Hudson, New York, and most recently Rose’s Luxury in Washington, D.C. He was also a commis in the 2011 Bocuse d’Or competition, so you know this guy has his sauces down. Take a look at his new menu, which includes dishes like braised lamb with flowering broccoli and citrus broth. There’s also a bar menu since this is such a great place to swing by for a glass of wine (or two) and a few small plates. Master Sommelier Dustin Wilson (maybe you saw him in Somm and Uncorked?) and managing partner Eric Railsback (who is also a partner in Lieu Dit winery) will continue to run the rocking wine program. Dabba bowl with mango lassi. Photo courtesy of Dabba. Trio of tacos. Photo courtesy of Dabba. SoMa workers and residents will be fired up with this new lunchtime option: ~DABBA~ has opened their first brick-and-mortar location (you may know it from its existence as a food truck with the elephant on a surfboard). It’s “fine casual,” with a California take on international street food, one that’s healthy and sustainable, with flavors from India, Mexico, and the Caribbean. The concept is inspired by Ashok Kumar’s Indian-Mexican restaurant Avatar’s in Marin County, home of the Punjabi burrito! Chef Walter Abrams (previously Spruce and French Laundry) is working with social tech entrepreneur Andy Mercy on this interesting project. The menu includes some riffs and updates on Avatar’s combos (chicken and pumpkin, lamb and eggplant, or pork and mustard greens) and recipes, which you can get in a paratha burrito, taco, or bowl, plus a main course salad and sides. There’s also a happy hour from 4pm-6pm Monday through Friday, with specials like a spiced hummus platter and more. High-quality ingredients, many sourced from local farmers and artisans, will be featured prominently, like produce from SMIP Ranch and Mariquita Farm as well as antibiotic-free meats. Vegans, vegetarians, and gluten-free diners will find plenty of options. Yogurt lassis, kombucha on tap, agua frescas, and beer and wine are also offered. The 2,000-square-foot interior, by Zero Ten Design with interior designer Laura Martin Bovard, has 30 seats inside and 50 outside in an interior courtyard with a fountain. And it’s a socially responsible business, working with Summer Search, an organization that gives disadvantaged students mentorship, college guidance, and more. Open Mon-Fri 10:30am-6pm, breakfast coming soon. 71 Stevenson St. at , 415-236-3984. The new Mr. Holmes stand at Workshop Cafe. Yelp photo by Sandy B. The newly open Foodhall. Instagram photo by @lifes.rad. Chicken lunch special at Deccan Spice. Yelp photo by Asma K.
Fans of the baked goods from ~MR. HOLMES BAKEHOUSE~ should know there’s a stand just outside Workshop Cafe in the FiDi. Before you get too excited for cruffins, there aren’t any, you still need to hit up the original TenderNob location and stand in line for those. But you can score their croissants, doughnuts, kouign amann, bostock, Danishes, and any other sick baked goods. Open Mon-Fri 7am-1pm, or until they sell out. 180 Montgomery St. at Bush. So the ultimate bougie/artisan shop that people are going to love to hate on but will probably/eventually/secretly love is softly open, ~FOODHALL~. As we previously mentioned, the 2,500-square-foot indoor market is from two food-loving ex-investment bankers from London, Bilal Mannaa and Yasmin Murtadha. 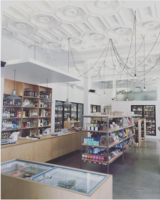 The location is the previous Val 16 Latino market that was on the corner of 16th Street and Valencia, and the space has been carefully restored. It now has an airy and chic look, with artisan bread instead of corn tortillas on the custom-made shelves, plus prepared foods, charcuterie and cheese counters, choice wines selected by Master Sommelier Eric Entrikin, spirits, pantry goods, and organic produce, dairy, eggs, and more. There is coffee service from Counter Culture and frozen yogurt too. Bonus points: unsold food is donated at the end of the day. 3100 16th St. at Valencia. 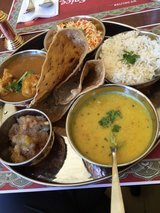 There’s a new South Indian place in the Mission, ~DECCAN SPICE~, which is supposedly rocking some very authentic Hyderabadi dishes, with high marks for their dum biryani, idlis, vadas, dosas, and more. And faloodas! Can’t wait to check this one out when I get back to SF. Open Mon-Thu 11am-3pm and 5pm-11pm, Fri-Sun 11am-5pm (lunch) and 5pm-12am (dinner). 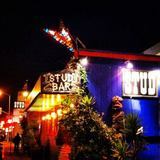 1142 Valencia St. at 22nd St., 415-915-2222. A tablehopper reader tipped me off to the opening of ~LAKSA~ in the Mission. On the menu: Vietnamese pho, noodle dishes, and more. 1005 Guerrero St. at 22nd St., 415-913-7396. After 10 years in Cow Hollow, Eater reports ~UMAMI~ has closed. Based on the melancholic note posted on their website, it seems the closure wasn’t what the partners had in mind. (“Call us another casualty of a changing San Francisco.”) 2909 Webster St. at Union. A tablehopper reader let me know another sushi place has closed: the sustainably minded ~TATAKI SOUTH~ in Noe Valley. Their Glen Canyon and Lower Pacific Heights locations remain open. 1740 Church St. at Day. The courtyard at Central Kitchen is a pretty sweet spot for brunch. Photo by Aubrie Pick. There are some changes happening at ~CENTRAL KITCHEN~, which has closed its doors for a reboot and will reopen on Thursday July 21st. As chef-partner Thomas McNaughton shares, the plan is to be more of a neighborhood restaurant. Sections on the menu will reflect “our love for all things raw, cured, fermented, and smoked coming from our shared larder and Salumeria’s cure box,” plus vegetables, crudos, an expanded pasta and bread selection, and meats and fish prepared in their new wood-burning hearth. Dishes will be shareable and communal and will range in size from smaller plates to large-format dishes. There is a taker for the former Betelnut space, and it’s Adriano Paganini’s restaurant group (Belga, Beretta, Delarosa, El Techo, Lolinda, Starbelly, Super Duper, and whew, Uno Dos Tacos). They will be unveiling the new casual dining concept this October; it will be open for lunch and dinner, and the front patio will be designed to be a lively space. 2030 Union St. at Buchanan. Another project coming to Union Street will be ~NAPLES ON UNION~, a new 100-seat upscale Italian restaurant, “artisanal pizzeria,” and wine bar, opening late summer in the former La Cucina. Details are sparse at the moment, but we’ll keep you updated. 2136 Union St. at Webster. 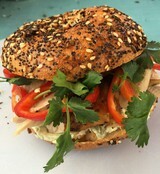 A Leaven Bagel sandwich creation. Photo via Facebook. The cafe at Farmstead at Long Meadow Ranch. Now just insert bluegrass and raclette. Photo courtesy of Outside Lands. Bagel fans, the folks behind ~LEAVEN BAGEL~ will be popping up on Saturday July 16th for a lunch event at Second Act Marketplace. Check out the menu here—there will be bagel sandwiches, and bagels and spreads too (you can get it to go and enjoy a bagel picnic in the park). 10am-2pm. 1727 Haight St. at Shrader. 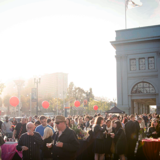 Outside Lands is hosting their sixth annual Summer Pairings Series, with five food, drink, and music events for the month of July in San Francisco, St. Helena, and Oakland, as warm-ups to the main event. There is a pizza, pinot, and funk party at Bluxome Street Winery with Mozzeria; a Bluegrass, BBQ, and Brews bash with Southpaw BBQ and Anchor Brewing; a smoke-out (heh heh) with 4505 Burgers & BBQ and Harmonic Brewing; a ramen party with Itani Ramen and Fort Point Beer Co.; and a preview of Cheese Lands at Long Meadow Ranch for the entire month of July. Tickets to each event are sold individually; no Outside Lands ticket is necessary for purchase. Joe, Can You Pass Me a Martini? The folks at the newly opened Evil Eye in the Mission were pretty fired up to have ~Joe Montana~ stop by for a couple of martinis and rounds of pool with his family before heading to Lolinda for dinner down the street.